Venison is a fast meat to grill. If you are looking for a quick dinner idea, this Asian inspired deer steak recipe is a unique dish that I doubt your hunting buddies have tried. If you want to have the best food at the next hunt, prep a large plastic container (margarita bucket or a gallon zip-lock) full of this teriyaki marinade along with your deer steaks. Put it in your cooler to keep it cold and let the marinate soak into the meat for at least 12 hours. Use the ingredients and step-by-step deer recipe instructions below and you will have some tasty morsels the guys will be asking you to bring back next year. Just make sure you don't overcook your steak or it wont be nearly as juicy. Because most venison steaks are cut thinner than your average beef steak, watch your timing as they will cook much quicker than the beef steaks you are used to. 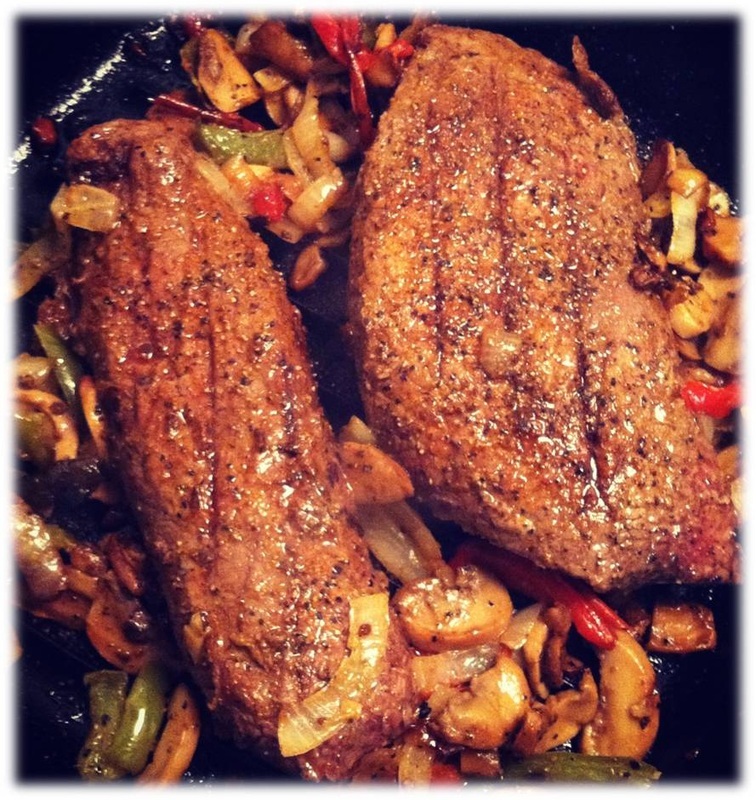 Tenderize your venison deer steaks with a meat tenderizer. This will help break down the steaks, flatten them, and help the marinate penetrate the meat properly. Combine your tenderized venison steaks, teriyaki sauce and glaze, soy sauce, and finely chopped onion together in a large plastic container. Place your bowl or zip-lock in the refrigerator or a cooler to marinate. For best results, marinate the venison steaks for 12 hours before grilling. Your marinade will act also as a brine due to the high sodium content in the soy sauce. Brines help to lock in moisture throughout the grilling process, which is perfect for making a juicy deer steak. When you think your deer steaks are fully marinated, turn your grill on and set it to medium-high heat and slap on the teriyaki steaks using tongs. Serve over a bed of sauteed red and green bell peppers, onions, and mushrooms to really give this recipe a true stir-fried kick.